The dream we dream is dependent on the time we keep …In the cosmic dream we remember that which we originally dreamed. We are here to complete that dream, and we are here to restore harmony to the synchronic order of life. 1.31.7.15: January 24, 2019: Blue Cosmic Monkey, Kin 91. This day marks the 80th solar return of the birth of Jose Arguelles/Valum Votan, who was born a twin on his mothers 30th birthday and his parents 11th wedding anniversary. In honor of his birthday, here is a key excerpt from his life from Time, Synchronicity and Calendar Change, the Visionary Life of Jose Arguelles. This chapter excerpt tells of his original vision of the Telektonon Prophecy of Pacal Votan. and is very timely for the situation we now find ourselves in on Planet Earth. Human history is the struggle to remain open. Time and again human consciousness fixates, and slams the door on its greatest gift , the open- endedness of infinite possibilities. José woke unusually early on July 26, 1993, Kin 144, and began reading the book De Tulan el Lejano (From Distant Tulan), which claimed to be a translation of a Mayan codex, though it appeared to him as almost a science fiction story. He had received the book from Dr. Z’ek Balam, a Mayan healer in Mexico, who had asked his good friend, Mother Tynetta Muhammad, to pass it on to him. He had just received it the day before and eagerly looked forward to this morning when he could finally read it. The book described a number of travelers from the star Tau Ceti (Tollan) who were traveling, not in a spaceship, but in a timeship. As he was reading the text, José felt as if he was reading some part of his own memory. This timeship experiences a type of shipwreck on planet Earth bringing with it various archetypal figures in the history of the Earth including Buddha, Christ, Muhammad, Homer and the Mexican prophet, Quetzalcoatl. Learning about this shipwreck was a trigger that opened José’s memory, causing him to fall into a deep meditative state in which he viewed Earth civilization of the human as a vast Cineplex theater with countless simultaneous kaleidoscopic projections from. Many different past and alternative world systems playing out in a compellingly parallel array of dramas. The main theme seemed to be the images of the vaulted tomb of Pacal Votan. It was as if he were actually in the crypt itself. From this tomb many time tunnels radiated outward. In one time tunnel he passed up and down different sets of stairs leading to the tomb until he came to what appeared as a central control panel of the radial tunnel system. From this vantage point, as if watching a movie screen, he witnessed the unfoldment and evolution of the human race. His attention was drawn to the particular 5,125 year test period in the experimental free will test zone. He witnessed how humans began to deviate from natural law, from natural time and turn away from the Source. He saw the artificial reality being superimposed over Nature and the machines move in to ultimately destroy the planet. He saw that the way people were living would destroy them in the end, unless they consciously, as a single species, made a shift in consciousness and went back to living in natural cycles. Pulling himself away from this moving, radial, kaleidoscopic experience, he went to his bookshelf, grabbed the Spanish edition of the Book of Chilam Balam of Chumayel, the sacred prophetic text of the Yucatec Maya dating from the time of the Mexican Conquest. http://www.sacred-texts.com/nam/maya/cbc/index.htm. In an instant, he realized that the entire tomb of Pacal Votan, whose mystery had led him to this point in time, was actually a prophecy in the form of a terma, a hidden “text” or treasure. In this tradition, terma was often hidden beneath rocks or in caverns and often written in a symbolic script. From his previous studies, José knew that the Book of Seven Generations, mentioned only twice in the Chilam Balam, was the key to the prophecies of Pacal Votan. The Book of Seven Generations is mentioned in the prophecy of Antonio Martinez and is dated to 1692, exactly 1,000 years after the dedication of the tomb of Pacal Votan A.D. 692. A year earlier, all the books that made any mention of Votan were burned [or confiscated] by the Spanish priests. In 1692, a Spanish priest then wrote The Trials of Votan. A startling set of synchronicities began to unravel. From Distant Tollan was published in 1978 in Havana, Cuba—the same place Antonio Martinez sets sail in the prophecy of Chilam Balam. Like the shipwrecked time traveler in From Distant Tollan, Antonio Martinez was also a shipwrecked sailor. … At this time José was living with his wife, Lloydine, in a late industrial age house on two acres of land on an estate in the northern part of the Big Island, Hawaii, close to the same latitude as Teotihuacan, Mexico (19.5, same as Face on Mars and see more here: http://www.vortexmaps.com/planets.php). (Synchronically 10 years earlier Jose met Richard Hoagland who showed him images of the Face on Mars which led to his vision for Harmonic Convergence). José had often wondered what its purpose and actual name had been. In this visionary and contemplative state, he heard whispering voices and felt the presence of what he perceived as inner earth spirits. Suddenly a word formed in his mind, like a sudden thunderclap: Telektonon! That’s it, he thought: Telektonon is the name of the earth spirit speaking tube of Pacal Votan. He realized that what was being revealed to him was a prophecy of the mysterious sage, a prophecy for our time. .In 1952, the tomb of Pacal Votan was opened in Palenque after being sealed for 1,260 years. One year later, in 1953, José’s father brought him and his twin brother, Ivan, to Teotihuacán, Mexico where he had his first vision atop the Pyramid of the Sun. His 1987 book, The Mayan Factor, posits that with the opening of the tomb of Pacal Votan came the initiatic seeding of the Galactic Mayan mind transmission on Earth. José knew the meaning of this tomb was far beyond being an archaeological relic or enigma. He begin to have further realization that he was the recipient of a consciously focussed beam of information that had been (and is being) transmitted from different planets, star systems [and interdimensionally]. He referred to this information stream as GM108X. He understood the essence of this strand as a consciously focused beam of information that had been (and was being) transmitted from different planets and star systems. In a flash, he realized that he had been carrying this GM108X strand his entire life, but could only articulate it now. In his meditation he saw that this GM108X transmission beam is directed through the North and South poles where information is stored at the Earth’s core within an octahedron magnet that holds the polar positions in place. Around the core, there is a resonating tympanum that he perceived as the world of the inner Earth. From this inner earth, information resonates out, according to the present stage of evolution on Earth. This information includes different modalities of thought, culture, life, spiritual truth and ways of being that radiate from the core of the earth to the psi bank; they then filter down into the earth held as inspirational thoughtforms that are picked up by those who are open and receptive, namely artists and musicians of all types. Having become skilled at the internal art of what he refers to as “earth diving” in 1987, José was able to visually view the psychic or astral configurations of the energy grids of the planet. This art is something that can be cultivated by anyone through consistent meditation practice. He understood that everything done to the earth has a registration in the astral dimensions. He could see in particular the disastrous magnetic perturbations of the effects of what he referred to as unrelenting materialism and proliferation of technology that coincided with the abuse of the Earth. As described in his 1987 book, Surfers of the Zuvuya, the purpose of earth diving is to generate energy into the core of the earth. It is done by giving instructions to your fourth-dimensional or astral body to dive into the center of the Earth and locate your particular node in that grid or lattice system. You are to follow that harmonic gridline that goes from the center of the earth to the surface of the planet and then you are to strengthen the corresponding grid that runs along the surface. e energy generated in the core of the earth will gather in a pool on top of the planet and will assist those people who are working on behalf of the Earth. José saw how his radial tunnel experience to retrieve the Telektonon had been a form of Earth diving. The purpose of this post is to give a living example of the power of the synchronic order in daily life. We can only see what we are attuned to. Synchronic order is a frame of time and we provide the meaning. This particular synchronicity occurred a few days ago at Whole Foods in Las Vegas on Kin 81: Red Electric Dragon (January 14, 2019). Deb, Kin 113, and I were in line to get juice when we noted musician Neil Young in line in front of us (and his wife Darryl Hannah was also shopping in the store). This particular Electric Dragon signature held much significance for me in my relation with Jose Arguelles/Valum Votan. Neil (Percivil) Young had been a favorite of his and, in fact, he was listening to his album, Le Noise, before his passing. (It was a birthday gift from Jacob, Kin 201 that we had in the car in those final days). Generally I would have left him alone, but something told me to talk to him. I approached him and had a brief exchange, thanking him for his work and giving condolences for the loss of his friend, of whom’s daughter was my friend. I only reveal these details, not because they are particularly important, but to show the synchronic template behind the world of appearance. Neil Young is Kin 153: Red Planetary Skywalker, sign of Mars. As I gave him my condolence for losing his home in Malibu fire, I suddenly remembered that 15 years prior on Kin 153: Day out of Time, Votan and I almost lost our home in Ashland to a fire. This memory sprocketed into a stream of memories that led me into contemplation of Mars and lost or destroyed planets. (Ultimately planets representing different aspects of our own consciousness). Later in the day as I contemplated this, I flashed to my siting six months earlier of actor and musician Jared Leto, Blue Lunar Hand, wearing a bright pink Gucci shirt at Erewhon health food store in Hollywood. Leto is lead singer of band, 30 Seconds to Mars. Contemplating the connection between these encounters sent me down a rabbit hole that literally led to Wonderland. Keep reading. The purpose of the 13 Moon calendar and synchronic order is to tune our cosmic antennae into the synchronic patterns that are woven through our daily life. All is part of one interconnected multidimensional geometric mandala. I did a little research and was amazed to discover that Jared Leto bought and lived in the former Lookout Mountain Airforce Station in Laurel Canyon, California. The address is 8935 Wonderland Avenue, and between 1947 and 1969, photography and videos of top secret nuclear explosions were brought here for editing and post production. Some of the most renowned Hollywood scriptwriters, producers, actors, etc., were part of these projects. It is said that they made more movies than all the Hollywood movies combined, though only a very small fraction have been disclosed. .
What I found interesting is that the production company is called 1352 Motion Picture Squadron. The name was formerly 4881st Motion Picture Squadron, but was redesignated 1352 on May 1, 1952, Kin 173: Red Self Existing Skywalker. This frequency signature 173 was of interest as it is the kin number of the first Cosmic History transmission that began with a memory of Maldek’s destruction on March 12, 2002. Skywalker is associated with Mars. Cosmic History tells that the unresolved karma from Maldek was then transferred to Mars (which also destructed) and now to Earth to see if we can correct the error. The work with Cosmic History was revealed as the vehicle to connect the points of lost consciousness between Maldek (that which has been destroyed and forgotten) and present-day Earth. Synchronically, Laurel Canyon was also a hotbed in the 1960s of many prominent rock and roll musicians, actors, artists, etc. Much of this music carried with it the memory of the lost or destroyed planets. Virtuallly all the top musicians of the time from Jim Morrison, Jimi Hendrix and Janis Joplin lived or spent time in the Canyon. Cosmic History cites three factors contributing to rock and roll music: the bomb, technospheric regimentation and the deteriorating environment. The radioactivity, which had been a factor in the destruction of Maldek and Mars, was relased into the atmosphere and activated the memory of previous worlds. This memory was then picked up by those sensitive such as artists and musicians. It is interesting that this music, that is still broadcast all over the airwaves today, was created in Laurel Canyon close to Lookout Mountain. The question is: What are in these videos and why did they use the number 1352? In 1984, the number 1352 was revealed to Jose Arguelles as the access code to the AA Midway Station, an interdimensional base operated by joint command of the stars Arcturus and Antares (see Surfers of the Zuvuya and 20 Tablets of the Law of Time). 1352 (104 x 13). 104 = A Venus cycle. 104 is fractal of the grand Arcturus cycle of 104,000 years. The AA Midway Station is is a type of monitoring base with multiple screens offering simultaneous views of what is happening both on this planet and on other planets and star systems nearby to this one. The AA alliance is part of the larger intergalactic federation. Through the different surveillances (or what we might call remote viewing) conducted by the AA Midway Station, virtually everything that occurs on this planet is known, observed and indexed in a type of astral library. This includes the memory of the destruction of Maldek, that holds the orbit of a haunting of a paradise lost. Maldek can also be understood as a template in our galaxy of other exploded or destroyed planets. This is all by way of illustrating a particular perceptual structure and different levels of knowledge that are opened based on attunement to the synchronic order. It changes what we are attuned to, which opens us to different thinking layers that others might overlook. As we change the way we see, what we see changes. Final Synchronic Notes: Kin 81 (9 x 9), guided by electric serpent. 3rd day of Storm Wavespell of Self Generation. Synchronotron Kin equivalent: 164, Yellow Galactic Seed (Galactic Synchronizaton/New Beam inception July 26, 2013). Base Matrix Unit. 322. 3-22, 2011, Kin 88 was the final day of Votan’s life. Kin 88 is the upcoming Lunar eclipse, blood wolf super moon. (Also noting that Young has a song called Wolf Moon). Kin 89, January 22, 2019 will mark 11 spins since his passing. His birth kin is kin 11. According to The Mayan Factor, the galactic Maya foresaw this time of darkness on the planet. The time when “the memory of the Galactic Masters would be viewed as a childish dream … but the Numbers of Destiny would remain—the 13 numbers and the 20 signs”. “These numbers would persist as a clue, a sign, that yet a third phase of the Mayan project was to be completed. Somewhere in that far and distant time, when armies clashed with metal and chemicals released the fire of the Sun, the wonder of the Maya would burst again, releasing the mystery and showing the way that marks the Return among the patterns of the stars. –Jose Arguelles, Mayan Factor, p. 82. Forty two days ago we concluded the final day of the Return to Sacred Time workshop in Canela, Brazil. This five-day event inaugurated the opening of the long-awaited Galactic Education Center in the southern hemisphere. (This entry just gives a taste; I encourage others to write more detailed reports). The event began on a New Moon, Kin 244, October 9, the solar birthday of both Nicholas Roerich and John Lennon. This day was 2118 days since 21 December, 2012 and 1904 days since the New beam began (26 July, 2013). Kin 244: Yellow Planetary Seed was also the year bearer of the discovery of the Law of Time on December 10, 1989: Red Self Existing Dragon. For those new to this, the Law of Time refers to the primary law that organizes all of the Universe according to Time. Law of time also states that time is the evolution of consciousness. Consciousness refers to pure evolving Essence, unlimited and unconditioned. At the event we focussed on rememberance of the sacred path and original mission of the Law of Time and 13 Moon calendar (see previous blogs such as https://1320frequencyshift.com/2016/09/16/effect-of-time-on-consciousness/). We emphasized Healing the Ancient Trauma by tracing it to its origins, namely back to the destroyed planet Maldek. Everything playing out on our planet today is a replay from another time, another world. In order to recover memory, we discussed the necessity of purifying the physical and emotional bodies in order that the new knowledge can be clearly received. Purification is particularly important at this time so that we can better navigate the intense planetary fluctuations now taking place. Until we come to peace within, we cannot further world peace. We also practiced the activation of inner technology through application of the synchronic codes of time. For those new, these codes are understood as the bridge between the psychic and physical realms. This bridge opens us to perceptions and dimensions that are often hidden from ordinary awareness. Learning how our mind works through utilizing inner technologies is the way of the Future. Our group had varied backgrounds, levels of experience and knowledge. It was a blessing to have in attendance eight of the original earth wizards who were the first to receive the teachings of the Law of Time in 1999 at a 49-day event in Chile with Jose Arguelles and Lloydine. On the final day each of the five Earth families presented their vision of a new galactic city. The energy was high and creative, filled with art, music and dance. It was a truly beautiful, love-infused event with more than 80 people emanating creative harmony. When this type of energy is generated, memory returns. Memory of who we really are; memory of our original mission together. Sometimes the memory comes in the form of a feeling that we cannot articulate. There was a sense that old contracts were being cleared in preparation for a harmonic reassignment within the synchronic order. No more escapist week-ends of indulgent schizophrenia. Riding the wave from the Dreamspell of history to the Dreamspell of galactic culture. It’s all an illusion, but why not chooses a superior illusion? Note: 26 days after this event, on Kin 14, Rafeeka led a group of 10,000 in the rainbow bridge meditation in Taiwan. 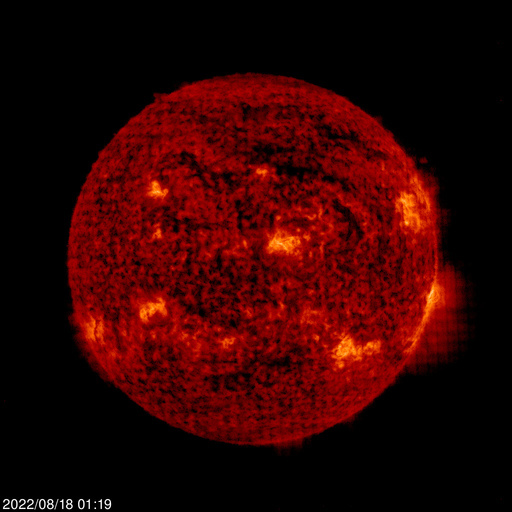 This day 8 November is precisely one spin (260 days from galactic new year day 26 July, 2019) Very inspiring! As of this New Moon, Kin 13 (7 November, 2018), there are 260 days remaining in this Red Cosmic Moon year. I invite you to telepathically join me these next 260 days on an inner journey of accelerated Cosmic Healing. We want to build our energy and make ourselves into a cosmic medicine bundle to counteract the negativity, confusion, and polarity that is sweeping our Planet. The first step is setting an intention for healing. The second step is to remember that everyone is suffering. The third step is to work to cultivate more compassion. Inner peace is more valuable than all of the Gold in the world. How much inner peace and outer harmony can you create in this timeframe? How much can you transform by the Day out of Time (25 July, 2019)? Cosmic Moon brings the healing power of Universal Water, the master memory elixir that is sometimes referred to as a liquid computer. Also keeping in mind that this 260-day cycle concludes the end of a potent 13 year purificatory cycle that began in 2006 with the Red Magnetic Moon year. December 21, 2012, Kin 207, was the midpoint of this 13-year cycle that concludes on Day out of Time, Kin 13, July 25, 2019. This day coincides with World Water Appreciation Day as put forth by the late Dr. Emoto. We invite you to join us in Teotihuacan, Mexico on the Day out of Time to conclude this cycle, or else create an event or meditation in your area. More details for Mexico event forthcoming. This Day out of Time vision was further inspired by a dream with Valum Votan on the morning of White Spectral Mirror (23 October, 2018). As he spoke these words, a high frequency beam felt to be simultaneously ascending up through the earth and descending through the Sun. This beam penetrated everyone’s body activating a spontaneous cellular rememberance and full recall of our Cosmic Origins. It was the most amazing feeling beyond articulation. The Earth Kundalini had awakened and a deep feeling of Wholeness, warmth and well being flooded all of our bodies. This was followed by what felt like aeons of repressed joy being liberated in the most ecstatic feelings of a happiness that we have long forgotten. All the obscurations, confusion and pain dissolved in the warmth of a new light. It was as if no suffering had ever happened. Such pristine love filled us all with Divine Rememberance and a great celebratory feeling ensued. When I woke up I was filled with such joy, encouragement and a deep sense of gratitude and awe. I felt that these Ones in the dream were the People of O.M.A. called back to this particular timespace vector in Mexico for a date with destiny foreseen in another time. If you are reading these words and are feeling an activation within your body, then you are likely one of the original people of O.M.A. We are all aware of the intensity of our planetary situation, so I will not list the endless “tipping points.” Except to say that Truth is far stranger than fiction and not to be surprised at what is revealed within the planetary field over this 260 day cycle. Pay attention to your dreams. This cycle is a window of opportunity to amplify our healing power and then extend it into the planetary field. The knot of this world can be transcended by coming into resonance with the patterns of the original crystal matrix. The crystal matrix core is the heart of the earth. 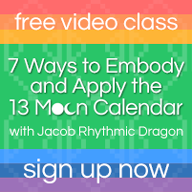 Study and practice the synchronic order and 13 Moon calendar. These codes are keys to descrambling the time distortion matrix and realign us with the original crystal matrix. Is inner peace dependent on the fluctuations of outer events? Or are outer events manifesting as part of the fluctuating inner terrain? What are you doing with your time on this earth? How can you best utilize your time? Instead of focussing on bad news, why not start creating the good news? Our mind becomes what we focus on. What is your duty and to whom? When responding to different situations, ask yourself: Will this create healing or more suffering? Is it possible that we may learn through Joy, Wonder and Appreciation, rather than learn through pain and suffering? Who created that program and why do we reinforce it? The body is a divine gift and a time travel vehicle. Keep it clean. Purify it inside and out. Study its systems. It is easier to stay positive and centered when our body is in a pure, alkaline state. If your body is in pain (physically or emotionally) try talking to your pain and applying the ancient Hawaiian practice, Hoʻoponopono: This really works if applied sincerely. You can also use it with people as needed. Consider a fast or detoxification program. The cleaner the body the easier it is to remain in a positive mind-set. All donations help provide continuous free content to spread the message of galactic culture on Earth. Your gift will make a difference!